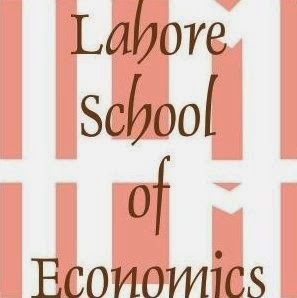 Second day of Lahore School’s First Annual Conference on Management of the Pakistan Economy started with Moin Baqi Invited lecture -- Money Supply, Inflation, Economic Growth: Issues in Monitory Management. In his opening remarks, Sartaj Aziz, the Vice Chancellor of Beaconhouse National University who was the chief guest in the session paid rich tribute to Moin Baqi and recounted his services in the field of national economy. Ashraf Janjua, former Deputy Governor, State Bank of Pakistan presented his paper on the subject. In the second session of the day, Dr. Shahid Amjad Chaudhry, the Rector Lahore School of Economics was in Chair and Dr. Akmal (Syed Engineers) contributed his paper on Raising Productivity and Income in the Agrarian Economy. Chairman Tariff Commission Faizullah Khilji contributed paper on Trade Sector Reforms: Facing the WTO Challenges. Dr. Rashid Amjad from International Labor Organization presided over the third session. was discussed in the fourth session of the day. Dr. Parvez Tahir, the Chief Economists Planning Commission presented his paper and Dr. Akhtar Hussain Khan, former Secretary Planning Division was in chair.